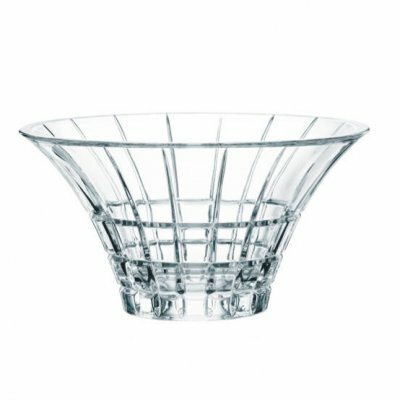 Blend of clear crystal and colors, this handcrafted vase offers a stylized structure. High quality, perfect to present bouquets “heavy” thanks to its solid crystal foot. A decorative item for your home. Discover our large iceberg crystal vase. Blend of clear crystal and colors, this handcrafted vase offers a stylized structure. High quality, perfect to present bouquets "heavy" thanks to its solid crystal foot. A decorative item for your home.